Fall. Time for colder weather, bonfires, hayrides…and soccer! 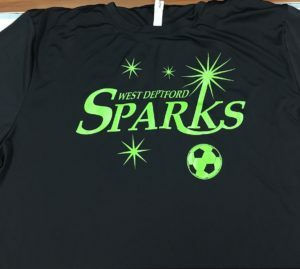 The West Deptford Sparks are back for their second season with Synergy Print Design. 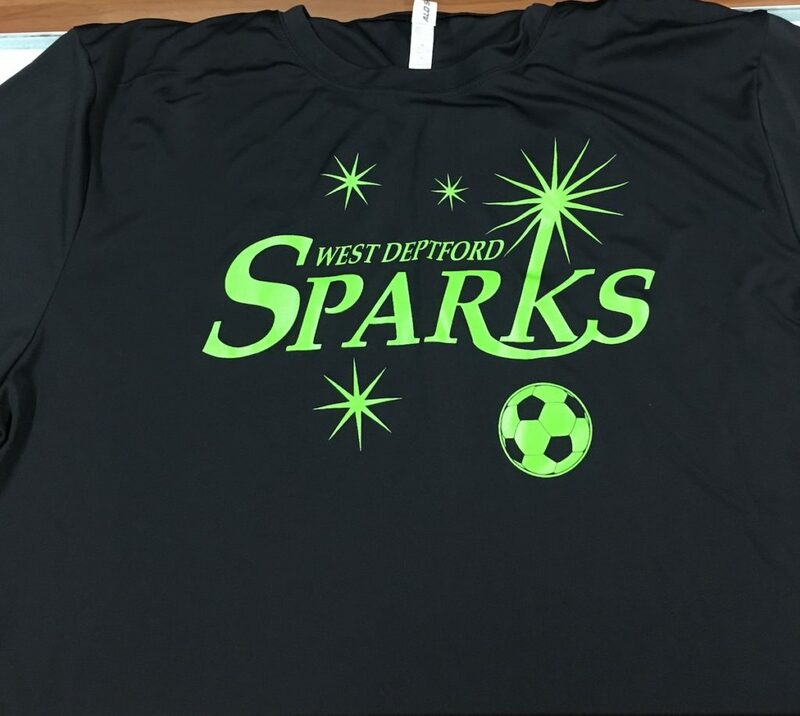 We designed a line of custom soccer shirts for them last season, and they loved them so much that they came back for more this year. These shirts catch the eye right away with their bright design and smooth look. The team chose a comfortable t-shirts that is breathable and moisture-wicking, which keeps them cool during those last lingering warm days of the year and dry as they work up a sweat during practice. The Sparks keep the parents in the mix, too, with hoodies and long sleeve shirts. That way everyone can represent their favorite team no matter where they go! Our customers keep coming back because we care about them and keep them looking good! Let Synergy get your team noticed, both on and off the field! Click here for your free quote on custom sports apparel by Synergy Print Design today!